From the moment you decide to buy Bitcoins, the path leading to the end point of actual Bitcoin purchase can be not as simple as we’d like it to be. The best way to buy Bitcoins is the one that is most easy and fast. Bitcoin is an innovative peer-to-peer payment network, as well as the first and most popular cryptocurrency. Starting with the document describing the Bitcoin protocol introduced by Satoshi Nakamoto in 2008 and with the first Bitcoin transaction in January 2009, Bitcoin now has an over 6 years history under its belt. The advantages of this cryptocurrency have won hearts of millions of people all over the world. instant transactions — Bitcoin transactions are almost instant. It is as easy and fast as to send an email. worldwide payments — long distances are not a barrier for Bitcoin. You can send Bitcoins from Africa to Poland, Norway to India, Argentina to Serbia, — still as fast and easy. no processing fees — contrary to major payment processors, such as Western Union, Bitcoin transactions do not require an intermediary. Thus, sending money costs almost nothing. anonymity — although all Bitcoin transactions are visible in the Bitcoin network, encryption of transaction data allows to stay absolutely anonymous while remaining in the public. As said before, the best way to buy Bitcoins should be the easiest way to buy Bitcoins. With the development of the Bitcoin ecosystem, more and more companies offer services on Bitcoin exchange and trading. Each of them strives to make the process easy and fast. 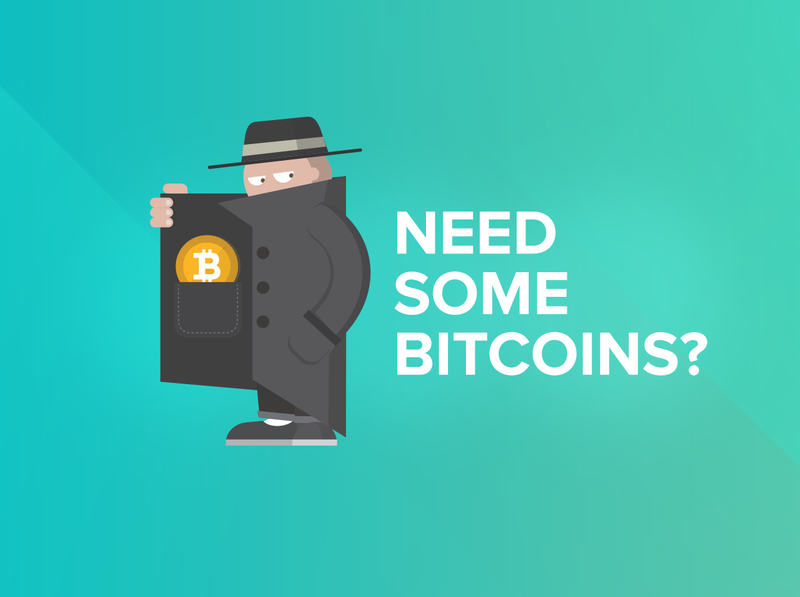 However, many Bitcoin exchange services forget about security measures, which leads to exchange hacks and Bitcoin theft. If you live in a bit city, it is more than likely you can find a Bitcoin ATM to get cryptocurrency for cash, which is one of the fastest ways to buy Bitcoins. The most popular Bitcoin ATM vendors are Robocoin, BitAccess and Lamassu. To find an ATM nearby, you may use the Bitcoin ATM Map. For those who already possess Bitcoins, ATMs can be an easy way to sell Bitcoins and withdraw the funds. There is a plenty of exchanges that allow users converting fiat money into Bitcoins. 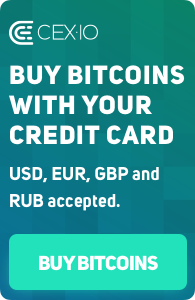 Thereby, you sell USD or Euros and buy Bitcoins instead. Using Bitcoin exchanges seems to be the easiest way to buy Bitcoins, and most popular one. To buy Bitcoin on an exchange, a user needs to fund their account first. We at CEX.IO did our best to provide the best Bitcoin exchange experience for our users. There are several options for depositing funds on CEX.IO: bank transfer, online banking and payment cards. Bank transfers on CEX.IO take time for funds to be credited to an account. However, EU citizens can take advantage of quick SEPA deposits in EUR. You can read more about SEPA funding here: http://blog.cex.io/news/cex-io-introduces-sepa-11466. If you have an account on Skrill, you can fund the account within Skrill interface right on CEX.IO website. We got used to online payments and have strongly integrated them in the everyday life. Using your credit cards to buy goods and services on such platforms as eBay, Amazon etc. can be a good experience to check it out with Bitcoins as well. On CEX.IO, we accept any credit or debit cards for funding the account. Recently, we have made strong improvements regarding deposits with payment cards. Thus, deposits in a few clicks are not a myth anymore, making them the best way to buy Bitcoins, as well as the fastest way to buy Bitcoin. All you need is add a card and choose the amount you’d like to deposit. CEX.IO allows adding as many cards to the profile, as needed. Our exchange has obtained a Level 3 PCI DSS certificate, which means we are compliant with respective standards and have the right to store card information of our users securely.